Phil Mickelson has some kitchen utensils upgraded at Callaway. Phil Mickelson generally looks like he is game for a laugh. 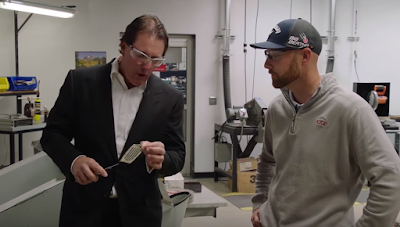 I'm guessing it didn't take much persuading to convince him to make this funny video during his recent visit to Callaway HQ in California. Check this out for some quality acting. Awful suit jacket aside I love it!